PRICE ADJUSTMENT....MOTIVATED SELLER!! !Just 2 miles from the sugar sand beaches of Anna Maria Island, this beautiful turnkey furnished 2/2 ground level villa offers an open layout with 2 spacious master en suites, cathedral ceilings and updated tile flooring throughout. Enter through your private front courtyard to enjoy your coastal paradise. Lounge in your open family room with high ceilings and plenty of room for dining. Or sit back and enjoy the Florida room and deck overlooking the water. Large closets and a private one car garage mean plenty of room for storing all your beach toys! Living in Perico is like living in a lush, tropical resort! There are 9 heated pools and spas, tennis courts, a gorgeous clubhouse with fitness center, shuffle board courts, community activities and meetings rooms. 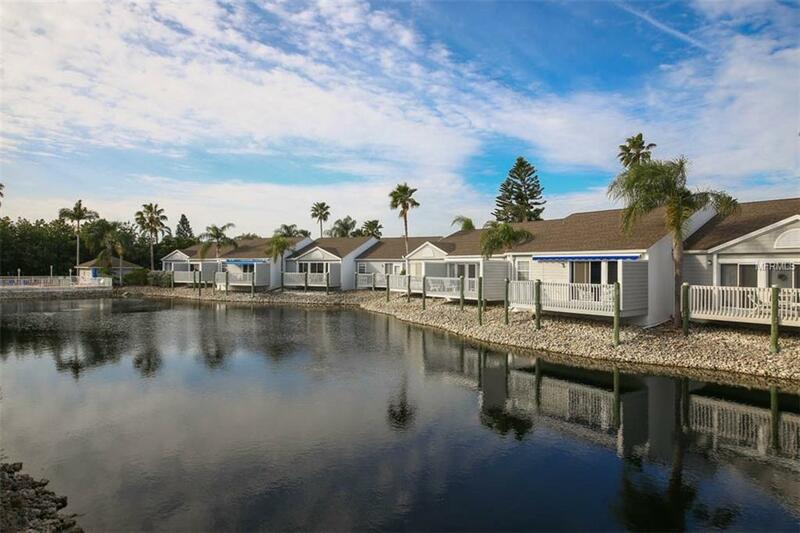 Enjoy the Florida lifestyle with the new kayak launch and storage area, along with fishing piers, boardwalks, bike trails and 24 hours gated security entrance, all just minutes from the beach and Robinsons Preserve! This is your opportunity to live in paradisecall today to schedule a private tour! Additional Water Information Located On Pond in Community With Fishing Piers & Kayak Launches Too. Additional Lease Restrictions Unit Can Be Rented Annually Or Seasonally With A 30 Days Minimum Up To 3 Times A Year.